Abû Bakr woke up in excitement, in the morning; he went to one of the Jewish scholars and told him his dream. That scholar replied, “This is one of the complex dreams, so it can not be interpreted.” But this dream remained in his mind and he was not satisfied by the reply of the Jewish scholar. Once, when he was on his way for trade, he dropped by the region of priest Bahîra. When he asked for the interpretation of his dream from the priest Bahîra, Bahîra asked, “Where are you from?” When Hadrat Abû Bakr said he was from Quraysh, Bahîra said, “A prophet will appear there. His light of guidance will reach all over Mecca. During his life, you will be his minister, after his death, his caliph.” Hadrat Abû Bakr was astounded by this reply. He did not tell anybody his dream and its interpretations until our Master, the Prophet announced his prophethood. – Are you from Quraysh? – There is one more sign remaining. – Open your abdomen. Let me see it. – What is your purpose with this, tell me? – I have read in the books that a prophet will come in Mecca. Two persons will help him. One of them is young, the other one is old. The young one turns many difficulties into ease, wards off many troubles. And the old one is white-skinned, slim-waisted and has a black mole on his abdomen. I suppose, that one is you. Uncover your abdomen and let me see it. Upon this Hadrat Abû Bakr showed his blessed abdomen and when he saw the black mole over his navel, he said, “I swear, that is you!” and legated him many things. After Hadrat Abû Bakr had finished his work, he went to the old man to bid farewell and wanted him to say a few couplets about our Prophet. 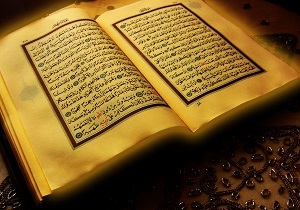 Upon that, the old man recited twelve couplets and Hadrat Abû Bakr memorized them.